Dubai: The first phase of the Dh25 billion Mall of the World will be complete in three years flat from the moment digging starts on site. All options — land sales, joint ventures or bank facilities — will be considered in meeting the funding needed for the mega development, conceived as the ultimate year-round destination. 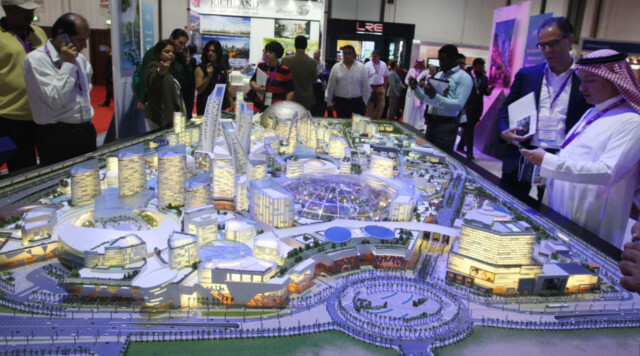 Based on current projections, half of the development costs will be met in-house, according to a top official with Dubai Holding, the developer. An estimated 180 million visitors are expected annually once the full development opens up. Complexity is there in abundant measure, and that comes not just from creating it within a temperature-controlled environment. There is the fact that it will host the world’s largest indoor theme park, plus there is the substantial hospitality component and the wellness and cultural zones. Putting these components in place would require the better part of 10 years. As to how many phases there will be and which component falls in which, one has to wait until early 2015. It was initially thought that the Mall would be located in MBR City. But Bel Houl said the shift to an off Shaikh Zayed Road location would help with developing some of the components such as wellness. “We still retain the land and there are other options that we could always use it for,” Bel Houl said.